Double the fun, double the activities but not double the price! This is a fantastic opportunity to really create some lasting memories in young people’s lives. As with the Action Plus, the Double Action Plus can be adapted for any age group. This package allows children to try more activities, develop their skills and build lasting relationships. 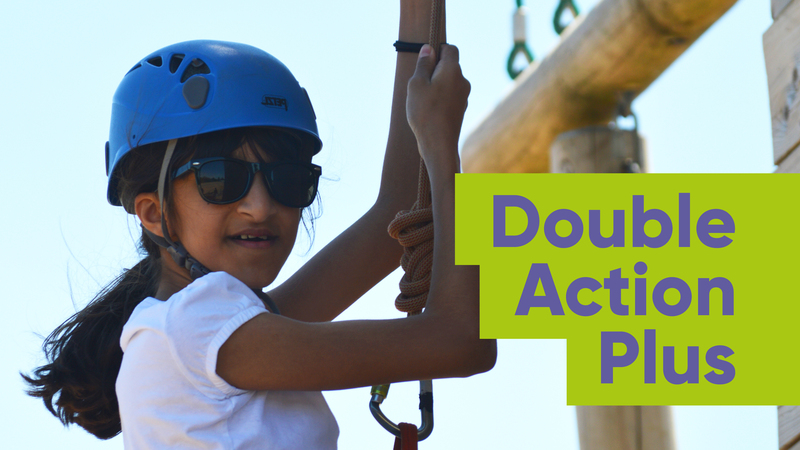 The Double Action Plus is available as a 4 night, 5 day residential and includes accommodation, food and 20 assorted activities!